Top 3 PSP Emulator Android To Play PPSSPP Games – When it comes to classic Gaming console what’s first come to mind?. GameBoy Color (GBC), GameBoy Advance (GBA) and Nintendo’s gaming consoles (SNES, NDS, 3DS). Since 90’s there are dozens of classic Gaming consoles available, And PSP is also one of them. PlayStation Portable is known as PSP, It is developed by Sony computer entertainment in 2004. It was the first real competitor of Nintendo DS because of Its GPU encompassed high-end graphics. If you’re thinking to buy a PSP console in 2017-18 then it isn’t a wise decision. Because many PSP Games now available on Google Play Store. But if still, you want to play those PSP Games then you can easily play on Android or PC. There are tons of Best PSP Emulator Android available, which lets you play PSP Games. PPSSPP is one of the most functional PSP emulators available, and you can even use it on your Android device. Keep in mind that in order to run most games at acceptable speed, you'll need a newer Android device. Older devices may be too slow to run games properly. If you have custom firmware installed on your PSP, you can dump your own PSP discs and copy them to your Android device. 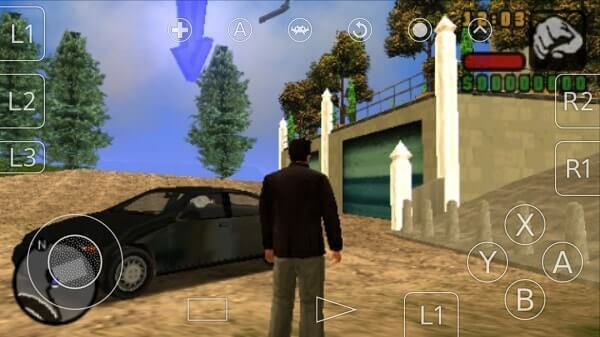 PSP Emulator is the software program that enables Android or PC to behave like PSP console. So you can run PSP Games that are designed only for console. An Emulator is legal or Safe?. The emulator doesn’t make sense without it’s Game ROM files, and yes it’s legal. But I suggest buying PSP Game ROM file before Emulating them. Using PSP Emulator is completely safe, and here am going to mention all malware and ads-free PSP emulator. Here is the list of 3 Best PSP Emulator for Android and PC. Note: Before downloading any PSP Emulator on your device, Make sure you have PSP Game ROM file in ISO format. RetroArch is an open-source project that allows emulating old classic gaming console. It doesn’t come with any built-in emulator. You can download core file of an emulator according to your choice. Currently, RetroArch is available for almost all major platform like Windows, Linux, Mac and Web Player also available. Means you don’t need to download RetroArch, all you need Mozilla / Chrome web browser. It allows remapping controls and ability to enter and load cheats in games. Currently, RetroArch supported 80+ program (Emulator) and PSP is one of them. 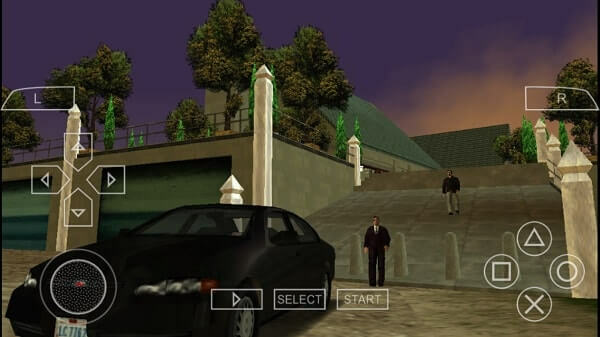 I tried playing GTA – Liberty City using RetroArch and it’s working flawlessly. How to Play PSP Games on Android using RetroArch. 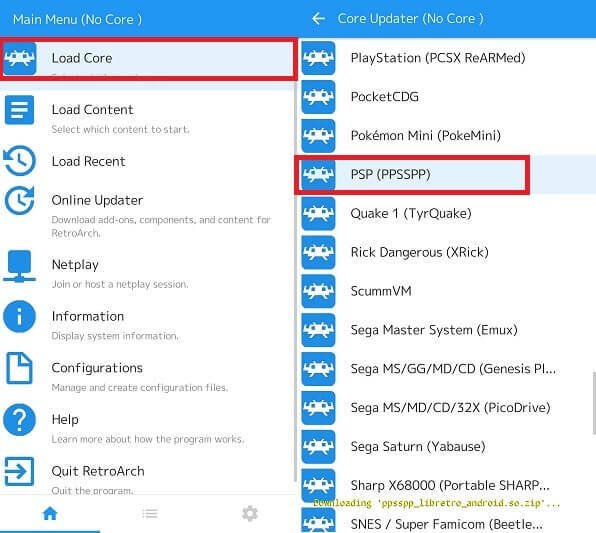 Note: RetroArch interface is same for all platform, So if you want to play PSP Games on your device then follow these steps. 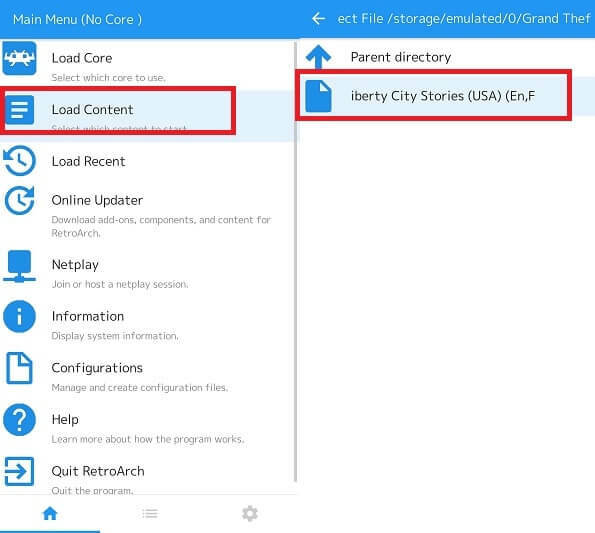 Step: 1 First download RetroArch on your device then open it and tap on Load Core> Download Core. 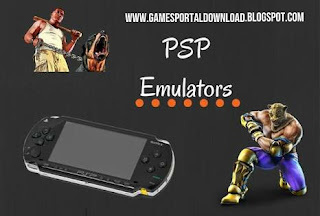 Now scroll down a little bit and tap on PSP (PPSSPP) to download PSP Emulator. When you tap on the game ISO file, Game will start running. To enjoy the game in full screen turn on screen rotation from settings. Overall it is one of best PSP Emulator Android that you can try. If you want to try out other classic Emulator games then download RetroArch. But if you want to play PSP games only then try next emulator. After PPSSPP it is the best PSP emulator that you can try on your Android smartphone. It comes with the same interface of PPSSPP emulator. But it works somehow better than the original one because you can save game state by hitting back button. There is a TOP PSP Games section available in this Emulator which allows downloading PSP Games Free. It offers some advanced features like Graphics Controls, Control mapping, and other networking tools. Searching for a Best PSP Emulator that can run PSP Games flawlessly, then PPSSPP comes in handy. Currently, PPSSPP is available for all major platform Windows, Linux, iOS, Mac, and blackberry. The user interface of PPSSPP is quite good and almost same for all major platform. It supports both ISO and CSO files format. PPSSPP can run high-end Games but it depends on your device processor and RAM. It doesn’t come with any pre-loaded games, but you can try few games from it’s “Homebrew store”. which comes with 16 Games for Free. It comes with some advanced features like Control Mapping, Networking options, Graphics control for old devices. Also, you can save game state which is a very useful feature. – If you have ISO or CSO file of any game and you want to play. Then open PPSSPP App and then tap on Games and then go to the game directory. And just tap on Game file and Game will start running. But if you don’t have any PSP Game ROM file and you want to try out Emulator. Then tap on Homebrew & Demos> Download from the PPSSPP Homebrew Store. Here you can find 16 Games just tap on any games then tap on Install button. Play PSP Games on Windows, Mac and Linux – Launch Emulator and then tap on File> Load and go to game directory (where you downloaded file) and simply choose Game File.